With Syden Orthodontics, you can rest assured with professionalism and top quality orthodontic springs. Our computerized controlled production facility ensures fulfilling all of your needs for precision. We have proper plant-wide operations, world-class tooling and guaranteed consistency. 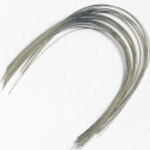 We are offering custom arch wires, guide wires, stampings, medical grade springs, wire forms and four-slide parts. We are here to ensure efficiency and practicality in our manufacturing methods. We have highly skilled engineering staff that will help you provide high quality manufacturing processes and reliability of products. Our management team respects and understands the value of professional confidentiality. We are open for discussions of products and parts you need for your orthodontic practice. Our professionalism is the keystone of operation. Our product line includes the widest range of coil springs, arch wires, and all types of orthodontic wires. We manufacture and supply custom shaped and cut wires, springs, stampings, and wire forms. We are planning ahead to add surgical stylets, guide wires and staples to our product range. We are currently offering both medical components and orthodontic hardware to our esteemed orthodontics across the country. Our product range is specialized for professional orthodontics to fulfill all of their practice requirements. We have our in-house management team which respects and understands the importance of confidentiality. You may contact us anytime for our free 24x7 customer support. We are always ready to serve you to fulfill all of your professional needs. At Sydenortho we believe in providing quality products with the use of efficient clinical technologies. Syden Orthodontics offers the latest Orthodontics wire as well as Orthodontic spring products used for dental orthodontic treatments.